Strong Guy is Gonna Be a New Mutant! 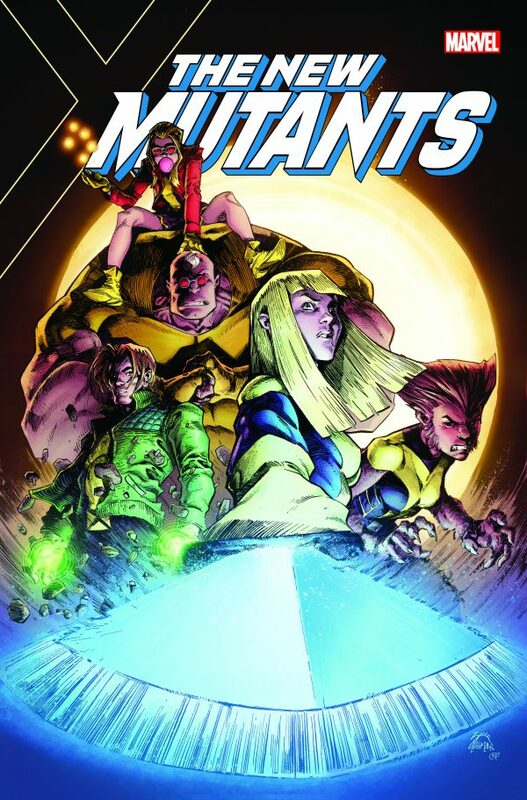 For reasons that boggle my mind, the title ‘New Mutants’ remains a frequent flyer in the X-Men franchise. It’s a weird name, right? Even when it was first used, to introduce a new, younger team of X-Men, it was still weird. Like, the X-Men knew a lot of other mutants by the time the New Mutants were introduced. Those kids weren’t even the first team of new mutants to join the X-Men. But whatever. The title keeps getting used for new X-Men comics, and the next one is gonna feature Strong Guy! I’m telling you all of this because I’m still engaged in the Strong Guy Watch. I’m pretty sure the rule of having Strong Guy randomly appear in the background of X-Men stories has passed, but I loved the character, so I’m calling him out! The mini-series will be written by Matthew Rosenberg, with art by Adam Gorham. It’s also going to reunite Strong Guy with Wolfsbane, two parts of my favorite comic book friendship trio. I hope Rosenberg does something fun with that. Yay Strong Guy! Though I’m disappointed that he lost the beard. Posted on December 4, 2017, in Comics, Marvel, X-Men and tagged New Mutants, Strong Guy, Strong Guy Watch, Wolfsbane. Bookmark the permalink. 5 Comments. I saw this on Facebook! And thanks to your Strong Guy watch, I was able to inform others that Guido has been seen hanging out with Illyana a lot in the past year, including Secret Warriors, Super Spider-Man, and the Extraordinary X-Men Annual, if I’m not mistaken. Great post. Agree about the weird title and the beard. Seriously looking forward to this title. Ha, I said Super Spider-Man. Oops. Wasnt He the King Of Hell? Hence his connection to Magik? He was King of Hell for a short while, though I don’t know if he ever interacted with Magik during that period. Perhaps they’ll play that into their new connection.